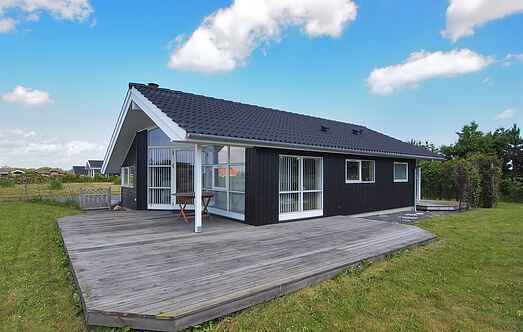 Find a vacation home to rent in Lundby from our list of vacation rental properties. Campaya has over 12 vacation homes available in Lundby, which give you the possibility to locate a unique accommodation in Lundby which completes your check-list in search for the perfect self catering vacation apartments in Lundby or vacation villas in Lundby. This is a contemporary holiday home in a tranquil region. There is a lovely, huge kitchen and a beautiful living room to comfortably relax. This great holiday home stands in a tranquil location. The huge plot is fenced and there are pathways and cosy corners on the property. This beautiful holiday home is comfortably furnished and equipped with a fireplace. The living room leads you to a terrace that offers beautiful views of the water. This cosy cottage is located near the towns of Næstved and Karrebæksminde. Svinø has a beautiful natural landscape and is a good base for a wonderful holiday. This cosy holiday home is situated on the Svinø Peninsula, which is located on the western side of the Southern Zealand. This well-furnished and well-equipped house has a living room with a terrace and is located near the Svinø beach on South Zealand. It stands on a plot overlooking fields.